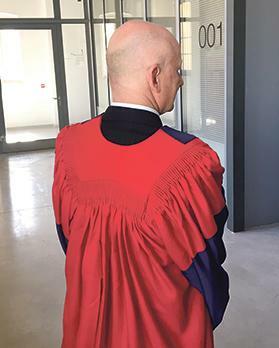 Adrian Hillman, the former boss of Allied Newspapers and now the government’s representative on the Board of Trustees of the American University of Malta, caused a public relations headache for the Office of the Prime Minister last Friday during the inauguration ceremony of the Cospicua campus. Former Allied Newspapers boss Adrian Hillman seen turning away from the Prime Minister after being told not to accompany him on the tour of the campus. OPM officials were seen rushing over to ask Mr Hillman not to be seen with Dr Muscat during a tour of the campus, due to the presence of the media. At the start of the tour, led by the AUM’s Jordanian owner Hani Salah, Mr Hillman – who is the subject of two money-laundering inquiries – was one of the first to greet Dr Muscat and start to accompany him around the building. However, this lasted only a few moments before an official from the OPM’s communications team, possibly concerned at the potential embarrassment that pictures with Mr Hillman could cause the Prime Minister, took Mr Hillman to one side and spoke to him. Mr Hillman immediately turned away while Dr Muscat carried on with his tour. In an unscripted announcement during the speeches preceding the tour, Prince Jean of Luxembourg, chairman of the AUM’s Board of Trustees, announced that Mr Hillman had been selected by the OPM to represent the government of Malta as its trustee. 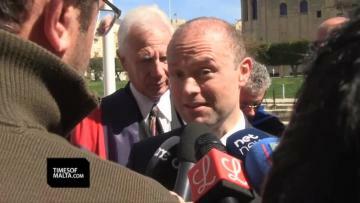 In comments to the media after the tour, Dr Muscat did not reply to the question of why Mr Hillman was not accompanying him. However, he said he “had no problem with Mr Hillman”, despite the former Allied Newspapers managing director being the subject of two magisterial inquiries on alleged money-laundering along with the Prime Minister’s right-hand man Keith Schembri. Asked to explain why OPM officials had asked Mr Hillman to stay away from Dr Muscat, the OPM did not reply. In 2016, soon after the Panama Papers leaks, Mr Hillman resigned from all his positons within the Allied Group following revelations that he owned a secret company in the British Virgin Islands, similar to the ones set up in Panama by Nexia BT’s Brian Tonna for Keith Schembri and Cabinet minister Konrad Mizzi. Later, following an investigation, the anti-money laundering agency FIAU concluded there were “reasonable suspicions” that Mr Schembri was involved in money laundering after he transferred hundreds of thousands of euros to Mr Hillman. Despite the FIAU reports, the police took no action, forcing the PN opposition to ask the court to conduct a magisterial inquiry, which is still ongoing. Both Mr Hillman and Mr Schembri deny money-laundering allegations. As managing director of Allied Newspapers, Mr Hillman was in charge of a multi-million investment in a new printing facility for Progress Press. The tender to supply the new machines and related technology was won by Kasco Group, owned by Mr Schembri. Mr Hillman later resigned.